Everything is its own reward by Paul Madonna - I'm not sure this title is available in Australia, which is why I love the internet. I discovered this illustrator by poking around on the interwebs and I'm very glad I did. He draws and writes a weekly strip for the San Francisco Chronicle called All Over Coffee. Apart from his drawings being awe-inspiring, I love the way he explores the gap between text and image - something I've always been interested in. You can watch him talk about his work here. Daring Greatly by Brene Brown - A purchase inspired by Brene Brown's fantastic TED talks here and here, this book explores the notion that we need to 'lean in' to vulnerability and not shut ourselves off from it. While it is difficult and uncomfortable to experience, vulnerability is 'the birthplace of love, belonging, joy, empathy, innovation and creativity'. There is so much in this book to inspire 'putting ourselves out there'. An Illustrated Journey by Danny Gregory - I'm holding this book responsible for my heightened interest in journalling and, in particular, urban sketching. Every time I read a contributor's story and see their pages I'm inspired to go out into the street and draw. Danny Gregory is interviewing the artists by Skype here. As a regular reader of Roz Wound Up I was very excited to see her interviewed. 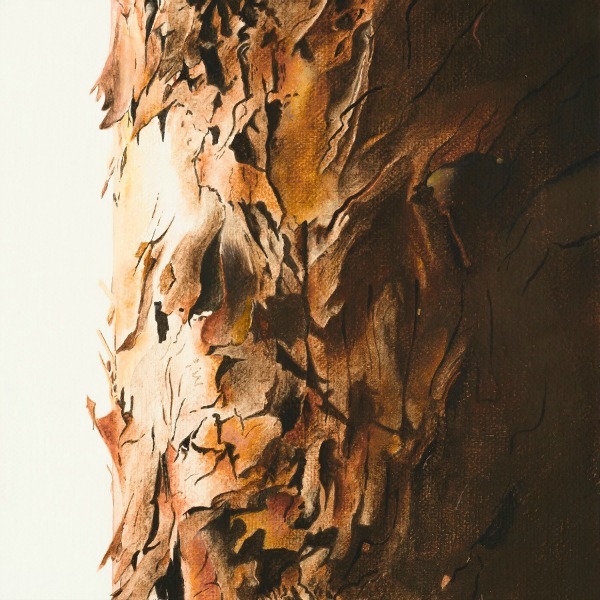 This post introduces Roz Stendahl's interview (follow her link to view it) but in it she also talks about her thoughts on journalling. I especially love the last couple of lines. 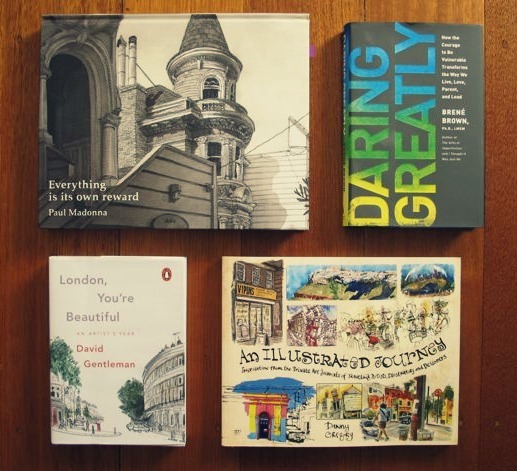 London, You're Beautiful: An artist's year by David Gentleman - an absolute gem of a book. My mum gave me this for my birthday (in addition to high tea!) and I love it. Watch the book trailer here. It's short but sweet. I love his take on quick, sketchy drawings: 'I think it's good to have to do something quickly and not have time to spoil it.' Wise words. I'll try and remember that next time I'm on location!